Wearing a warm, weathered-grey oak finish, this handsome headboard will add fresh style to any bedroom. Constructed of hardwood solids and oak veneers, it features horizontal slat overlays that create a high-low effect, while wide pilaster ends frame its clean silhouette. It is compatible with most full and queen bolt-one metal bedframes. Deep diamond tufting adds an elegant touch to this upholstered headboard. Handmade in the USA, it features luxurious velvet upholstery. 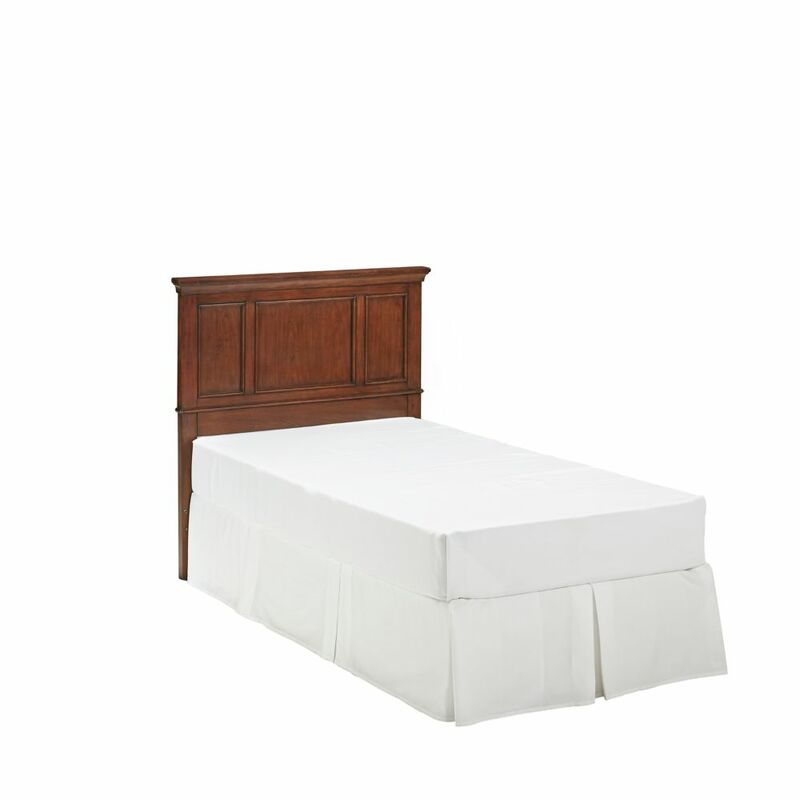 This headboard requires easy assembly and effortlessly attaches to standard metal bed frames. Requires a box spring and mattress (not included). This Fynn twin headboard with storage stands out due to its trendy Harvest Maple finish. Though it looks like a flat headboard, its functional innovation lies in the concealed open compartments on each side, providing convenient storage spaces within easy reach of the bed. Its straight lines and decorative grooves were inspired by the trendiest contemporary bedrooms and match the rest of the collection perfectly. With this piece, you can create a unique decor that last for years. Fits perfectly with the Fynn storage bed and is compatible with a metal frame (hardware not included). Also available in Gray Oak finish. For complete dimensions, see spec sheet. It measures 43-inch wide by 8-1/4-inch deep by 44-inch high. It is delivered in a box measuring 48-1/4-inch by 13-1/2-inch by 7-inch and weighing 65 pounds.